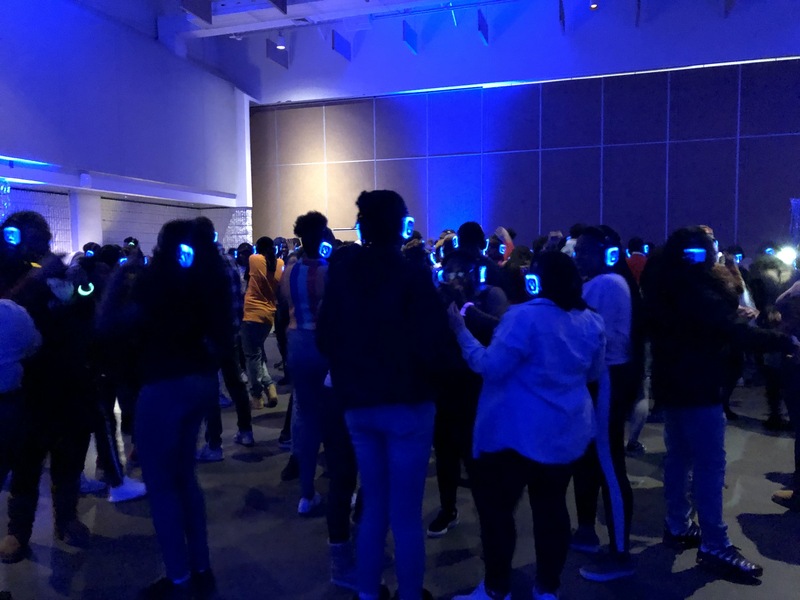 To kick off the beginning of Black/African Heritage Month, the Office of Diversity, Inclusion and Multicultural Education (ODIME) and LGBTQ Resources hosted the Stay Woke Silent Party in the Hub Ballroom on Thursday, Jan. 31. Upon arriving to the party, attendants were given a set of headphones that they could use to switch back and forth between three music stations, each controlled by a different DJ. Depending on which station they were listening to, the headphones would light up blue, red or green. 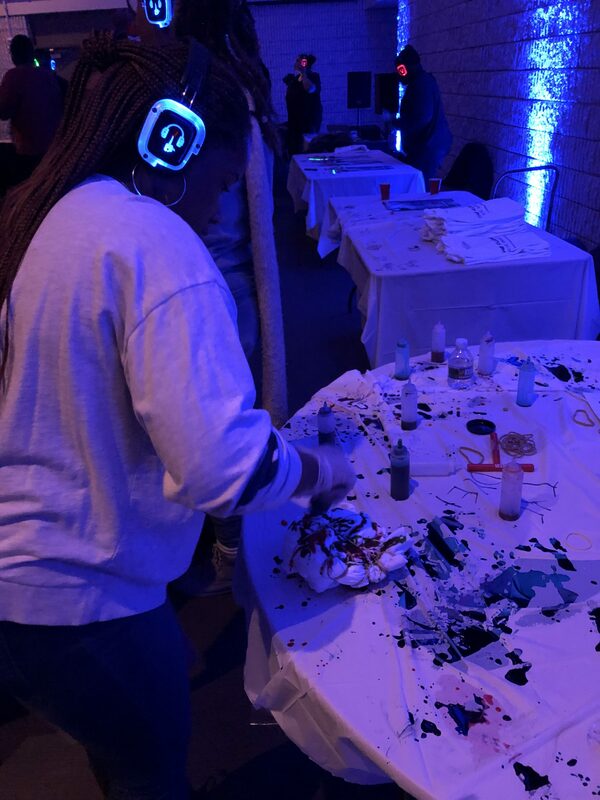 The beauty of a silent party is that it allows each individual to customize their own unique listening experience. The music that was played covered a range of black musical genres, allowing listeners to alternate from rocking to old school classics to rapping along to more modern hits, or to switch from dancing to go-go to Afro-Caribbean music as they pleased. A group of girls could sing their hearts out to Cardi B’s “Bodak Yellow” in the corner while across the room, another group milly rocked. Black fraternity and sorority members strolled to songs like “Knuck If You Buck” and “Wipe Me Down,” while other students jammed to Drake. Attendees could recreate all of the choreography to Beyoncé’s “Get Me Bodied” while their friends did the electric slide to “Before I Let Go” by Frankie Beverly and Maze. Everyone got to choose for themselves what they wanted to listen to while still enjoying the company of those around them. At one point, nearly every headphone in the room turned blue as students gathered in a circle to do the swag surf. Soon after, green and red lights could be seen again as students dispersed and went back to listening to various stations. 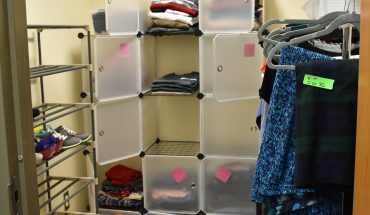 In addition to listening to music, partygoers could also tie-dye T-shirts and create their own goodie bags by filling them with a variety of candies, popcorn and pretzels, making the experience even more customizable beyond just the music. 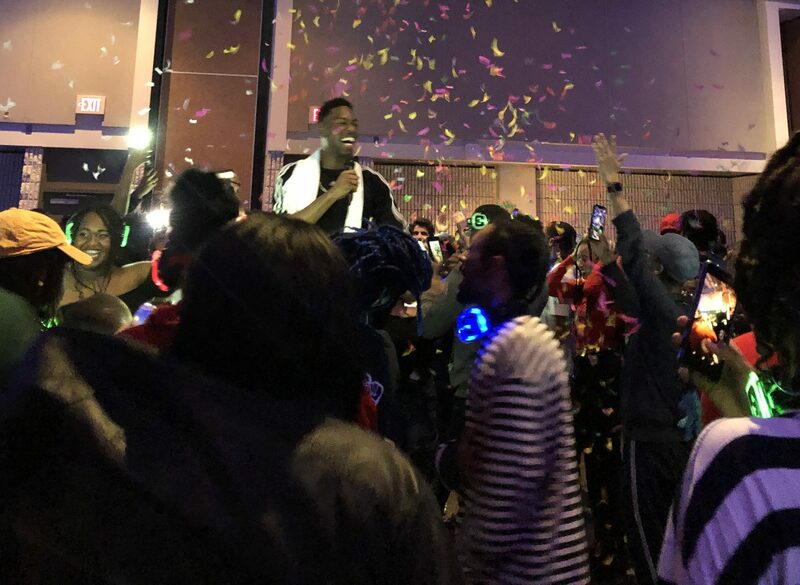 At 11:59 p.m., the music stopped as students gathered to countdown to midnight on Feb. 1, which officially marked the beginning of Black/African Heritage Month. As the clock struck 12, the crowd cheered and confetti filled the air in celebration. Green is excited for Black/African Heritage Month and liked starting the month off with the silent party. 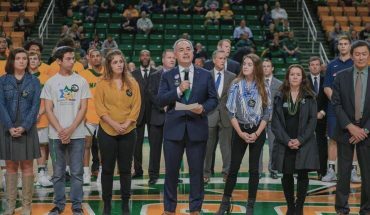 “This was a good way for everyone to come together and celebrate it at the same time,” she said. McNeil had so much fun at the party that she didn’t want it to end. 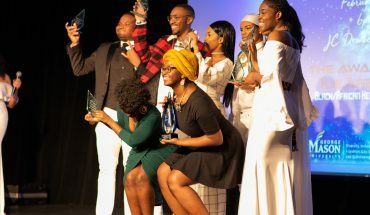 Other events planned for month include the National Pan-Hellenic Council (NPHC) step show, which took place on Feb. 1, a fashion show hosted by the Black Student Alliance (BSA) on Feb. 15 and the annual Black Excellence Gala on Feb. 22.